Good Kill (US release 2015), directed by Andrew Niccol, offers a somewhat surprising view of what has come to be known as “modern warfare”, focusing on the plight of drone operators who spend their work days at Creech Air Force Base “taking pot shots half a world away in an air conditioned cubicle”. Heavily and obviously based on the testimony of former drone operators, the film has been criticized by some for lacking in entertainment value. Given the gravity of this disturbing development in military history, such a criticism seems somehow misplaced, but it is also understandable. Even those of us who appreciate its filmic virtues can scarcely deny that Good Kill is considerably more didactic than most action films. However, it is more professorial than preachy, offering a competent introduction to the moral issues raised by drone warfare for those who never thought about the topic before. That said, I hasten to add that the film is not solely an anti-drone warfare propaganda piece or a straightforward docudrama. For one thing, the cinematography is excellent, with lots of visual analogies drawn between the suburbs of Las Vegas and the “battlefields” of clay houses where targets are struck by Hellfire missiles. The similarity between the places where human beings live in civil society on opposite sides of the planet is repeatedly stressed by offering a drone’s eye view of the West and the Middle East. There are families—fathers and mothers and children—in both places, but the fathers depicted in domestic settings in Las Vegas suburbs are remote-control killers, while the fathers in Pakistan and Yemen are said to be evil terrorists warranting “warheads on foreheads”. Another brilliant use of cinematography involves the recurrent theme of the surreal setting of the city of Las Vegas itself, with its pseudo-Eiffel tower, bright lights, big hotels and bling. The drone operator’s role in executing persons designated for death by an eerie voice known only as “Langley”, coming over a speaker phone, is perfectly reflected by Las Vegas: it is hyperreal and ersatz at the same time. “Why do we wear a flight suit, sir?” asks the tormented protagonist Thomas Egan, played convincingly by Ethan Hawke. Drone operators fill only half of the job description of a traditional soldier: they kill but never die in the line of duty. The most fundamental difference between Good Kill and many other Hollywood war movies (including American Sniper, directed by Clint Eastwood) is that it does not begin from the assumption that our troops are automatically good and the enemy is by definition evil. The central protagonist is a tortured soul, who wants to do good, but finds himself perpetrating what he himself takes to be evil. The dissonance of what he is doing drives him to drink heavily and ultimately wrecks his marriage. That drone strikes are carried out against people in the remote tribal regions of poor countries such as Pakistan and Yemen with which the United States is not officially at war. That drone strikes are carried out against targets in the company of obviously innocent persons, their deaths having been calculated by anonymous analysts as “proportionate”. That first-responders are destroyed for their efforts to come to the aid of persons wounded but not killed in missile strikes. That military-age males are counted as enemy combatants when they are killed, even when no one has any idea who they are. That suspects are annihilated by Hellfire missiles because it is “infeasible” to capture them, which translates as “politically unpalatable”. That entire groups of men whose identities are unknown are destroyed when “reliable” informants, who are in fact the recipients of generous bribes, report them to US intelligence agents as associated in some way with Al Qaeda or the Taliban. Or “the evil enemy” more generally, wherever they may be said to reside. That drone operators are required to follow orders as though they were lawful, even when they are sure that they are not. These and many other Drone Warfare 101 points made in the film need to be understood in order for a person to arrive at an informed opinion on the wisdom of the practice of remote-control killing. Unfortunately, much of the populace appears to have been seduced by the facile characterization of the stalking and hunting of human beings–and the slaughter, maiming and terrorizing of others in their vicinity–as laudable “smart war”. Under cover of State Secrets Privilege, the US government declined for many years to share any data on their drone strikes, and when they finally did (under court order), the most important facts were redacted. As a result of this persistent opacity, a robust debate about remote-control killing was successfully evaded. The practice was fully normalized during the eight-year presidency of Barack Obama, whose preferred successor to the US throne (Hillary Clinton) has already vowed to continue his approach to foreign policy, the centerpiece of which is extrajudicial assassination. 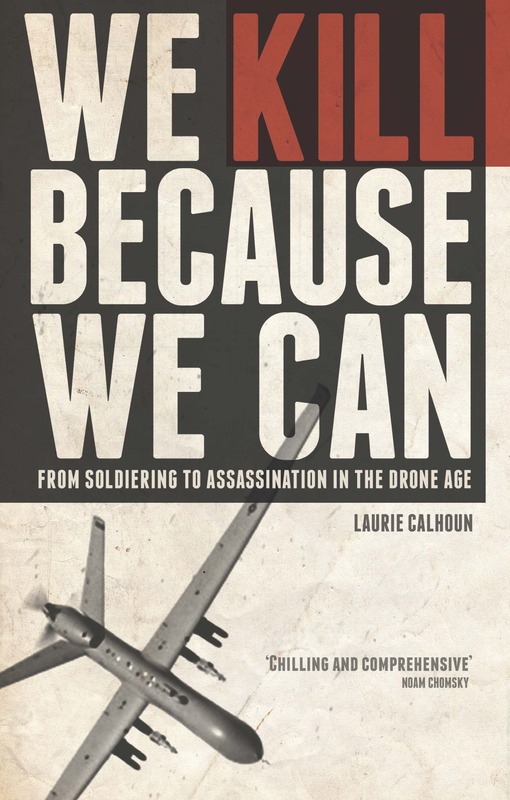 With the lethal drone industry boom well underway, and the ongoing tendency of politicians to support targeted killing, only persons who do not stand to profit (whether electorally or financially–or both) from the practice are left to ask the tough questions. Andrew Niccol has done a public service by offering this didactic but necessary film. Good Kill aims to fill a gaping chasm in people’s knowledge about drone warfare, and it does so in a compact way by displaying many of the moral problems which have been ignored by US citizens in their patriotic fervor to accept whatever their political leaders say when it comes to foreign policy. Good Kill should be required viewing for any young person contemplating the possibility of becoming a drone operator.